In my last letter I argued that unless we brought our fiscal deficit under control and restored sanity to the State budget we could not make progress after the elections on the 30t July. We have 23 days to go to “D” day. The next must on my bucket list – monetary stability. This is an extremely complex subject and should never be under estimated. It is also critical to all of us. I estimate that over the period of my employment in the formal sector (1968 to 1990 or 22 years – more than half as a very senior staff member (Chief Economist) or as CEO of a major business, I paid over US$1,2 million into the Old Mutual managed pension funds. I now receive a pension of US$94 a month from them. The reason is something that affected all of us who lived through the Gono Era at the Reserve Bank. We may be an extreme example but many if not, all newly independent States in Africa have gone through a similar experience – coming to power and not understanding banking or monetary policy and this leading to what seemed as an easy solution to tight budgets – just print the stuff! Since 2013 when the GNU collapsed and the discipline imposed by the MDC Minister of Finance Tendai Biti, was abandoned, his mantra of “we eat what we kill” or we maintain fiscal discipline and a budget surplus or a very small deficit, was abandoned and gradually we have slipped back into the pre 2009 situation where the Reserve Bank is printing money at an unsustainable rate. The money has many forms – a large unsecured overdraft at the Reserve Bank, billions of dollars’ worth of Treasury Bills and Debentures and simply printing electronic money using the bank system. I get my salary on time and in full from the Ministry of Finance via the Reserve Bank and my own Bank – but it’s not real money. Today I hear that companies and individuals will pay $1,70 for every dollar – but it comes in RTGS dollars into their bank accounts. We can spend these locally – but not externally unless the Bank converts the artificial dollars in the account into real money that can be used internationally. It works after a fashion but the effect on people – everyone, is that prices are rising and incomes and export revenues are being devalued. Everyone knows that their money is no longer going as far as it did in the GNU days – the reason is monetary policy. At the same time cash has virtually vanished – you can buy the local paper money on the streets (Bond Notes) for a 25 per cent premium with US cash but this is not that serious and I am amazed at how well the Bond notes have maintained their value – the main reason being that all other forms of ready cash simply are not available – the old adage that bad money drives out good money still applies. So what do we do? As I said last week – first you have to fix the deficit and stop the Reserve Bank printing money to meet the fiscal deficit – Government must discipline itself and meet all outgoings from incomings and nothing more. Then we need to reintroduce our own currency. When I say that I can hear the gasps of horror across the country – but it is still true and essential and makes total sense. We need cash to live – the Minister and the Reserve Bank Governor can argue till they are blue in the face, but our people need cash to live and that is why there are long queues outside every bank every day. Would one of our workers get up at 4 in the morning to cycle to his bank just to get a number representing his place in the queue when the bank opened its doors if he did not need real cash? 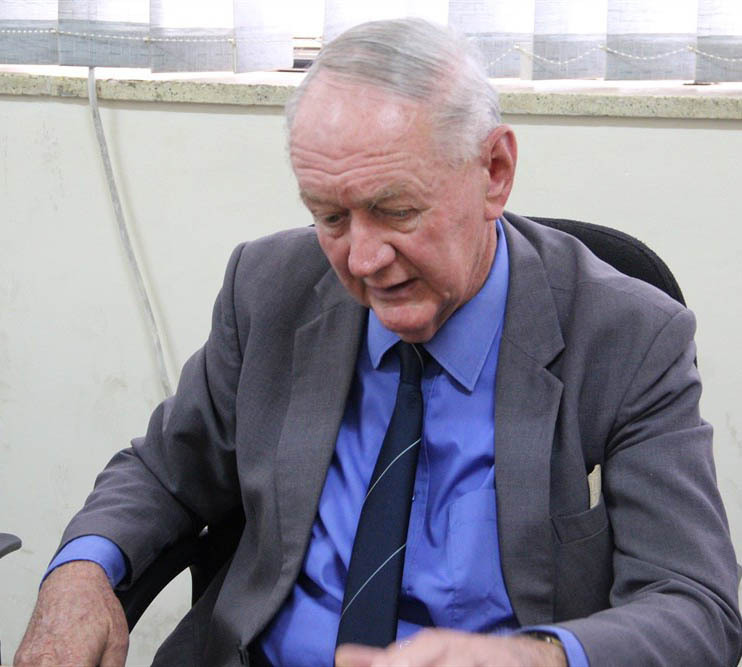 He does not care what sort of cash – coins, bond notes or real US dollars – he would prefer those because they can be sold for a premium on the streets but any form of cash will do. We are largely a cashless society like the USA but we still need cash and everyone needs to know that if they bank their money today – it will hold its value and be available tomorrow. That is a tall order. Monetary stability is essential if we are to move forward after the 30th July. So how do we do this and gain the confidence of everyone in any new currency – without confidence any currency will fail. The main reason why the US dollar is the global currency and is used in one form or another for over 70 per cent of all global transactions is simply one word – confidence (in the US system). This enables the American Federal Reserve to convert US cotton and ink into currency with a value 95 per cent more than its cost – it is the most profitable and risk free business in the world. Once we have “fixed” the fiscal deficit which will not be without pain, we can then consider launching a new currency. We could go back to the Zimbabwe dollar or we could go the route adopted by regional States – the Rand, the Pula, the Kwacha and the Metical. All are in use, are accepted by their people as a means of exchange and are traded openly in the markets and Banks. After periods of instability all regional currencies are now reasonably stable. The MDC Alliance has mooted joining the Rand Monetary region but that is impossible until we stabilize our macroeconomic fundamentals and once we have done that why not print our own money? The name of the currency does not matter – it’s what value we attach to it that matters. What I would do is to propose first of all to give our Reserve Bank complete independence from the Government under a professional Board and management appointed by the State. Then get them to set up a Monetary Policy Committee which would meet every Month and hold a quarterly meeting in public to give the country a monetary policy statement and to fix interest rates. I would start off at a quite conservative level and release the new currency at a rate of (say) 4 to 1 or 25 US cents for each local currency unit. Simply printing 3 billion dollars’ worth of the new currency would have a massive impact – we would transform a few hundred thousand dollars’ worth of paper and ink into billions of dollars in local currency – the profits would reestablish the Reserve Bank as a sound financial institution capable of doing its job properly. Monetary stability and predictability would be the main goal, so that people and business and the State itself could plan and trade with confidence. Dreaming? Why not – a new day is dawning and we need to dream. Local currencies are too easily manipulated when the wrong people manage to get into the right positions… just as ZANUPF did with the Zim dollars. Zim political leaders just doesn’t have the will, nor the people the trust, to put the the necessary checks and balances in place. How about starting with a REAL democratic election, legal, free, fair, and sans rigging. Eliminate state corruption. Then reestablish relations with the world community, reestablish fiscal relations with America, and get all those worn-out $2 (USD) bills replaced. Sell the printing presses.